Marcos Urena scored for Costa Rica at the 2014 World Cup. The San Jose Earthquakes signed Costa Rica striker Marcos Urena on Friday, boosting a team that scored a league-worst 32 goals last season. Urena signed a multiyear contract on Friday using targeted allocation money after moving from Danish club Brondby, and will partner with Chris Wondolowski up front for the Quakes. 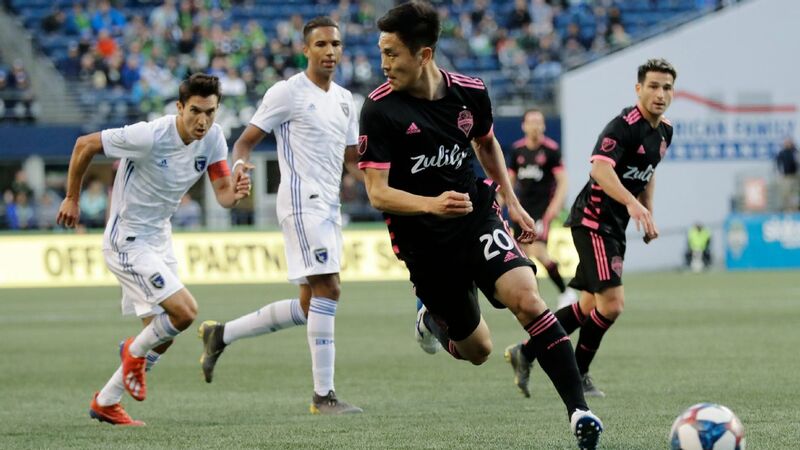 "We don't just look at a player's merits or international appearances," Earthquakes general manager Jesse Fioranelli said. "We focus more on the player's skill-set to understand whether or not they match what the team needs. "Marcos is a very attack-minded player that will be a very important element in binding our midfield and attack. He has great technique and can make many key passes while covering a lot of ground. I think he's going to be an exciting player for us." The 26-year-old as scored 10 goals in 45 appearances for Costa Rica since making his international debut in 2009. He played in four games at the 2014 World Cup and scored in the Ticos' shock win over Uruguay. After leaving Costa Rican giants Alajuelense, he has also played in Russia for Kuban Krasnodar and Midtjylland in Denmark. "I think he's going to be a good addition to the team," said Earthquakes coach Dominic Kinnear. "He's a Costa Rican international, who's played in some big tournaments. We brought him here to score goals and help us win and that's what we expect of him." Also on Friday, forward Steven Lenhart signed with Japanese fourth-tier side FC Imabari. Lenhart had spent the last six seasons with San Jose but missed all of the past two years with knee injuries, and the club declined his option for 2017 last month.